AfterPay. Shop now. Pay later. 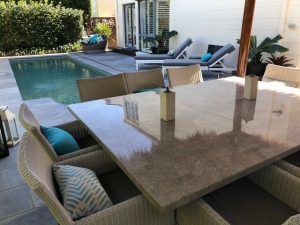 Outdoor Interiors is an outdoor decor brand offering high quality fade resistant, water resistant and stain resistant outdoor cushions and outdoor throw rugs. 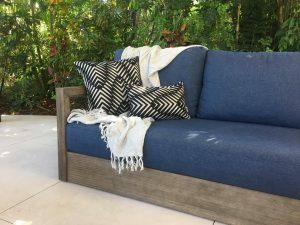 Using Sunbrella fabrics and yarns, our outdoor cushions and throw rugs last the test of time. 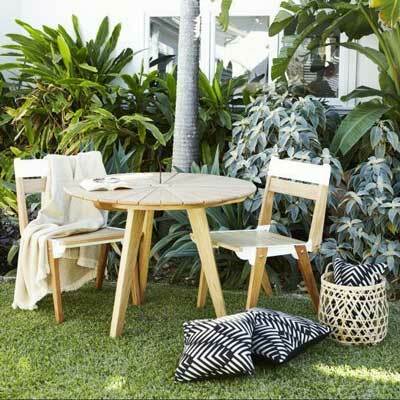 Established in 2016, Outdoor Interiors is an exciting new homewares brand specialising in contemporary and unique outdoor homewares using fresh, modern colours and designs reflecting the Australian lifestyle. 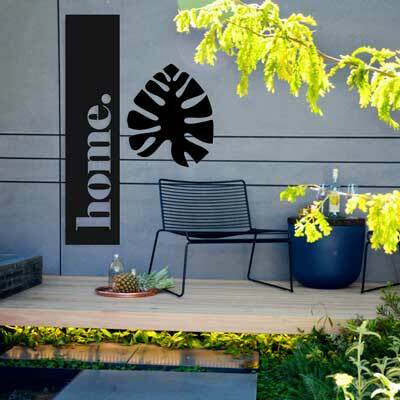 With our homes now extending outdoors we would like to offer a luxurious range of cushions and throws specifically designed to be used for all seasons. 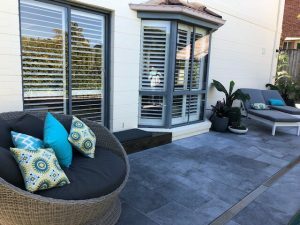 Thank you to Sharni and the team at Outdoor Interiors for their professional and prompt service. Sharni was so supportive with all our questions and purchase. 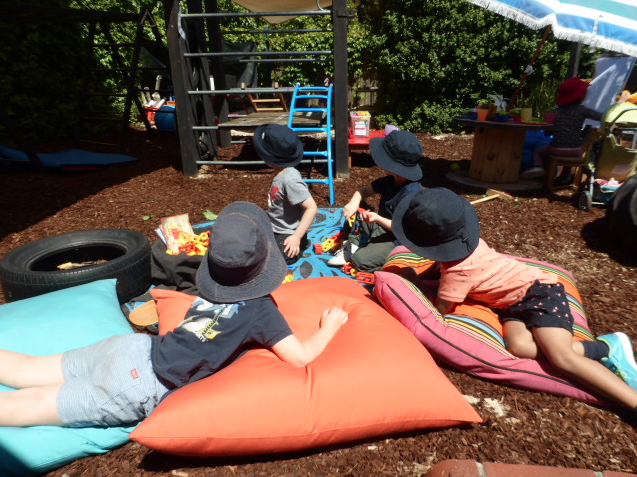 Our kindergarten children love the new cushions. 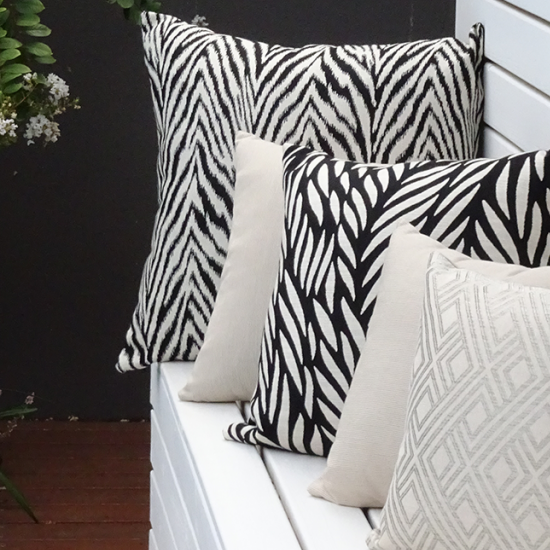 Loving the bright resort style look these cushions bring to my outdoor area. Can't wait for summer to enjoy these beauties. Thanks so much for all your help in customising this outdoor chaise cover for me. You were really helpful and fast and the cover looks great! 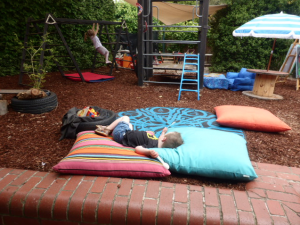 I knew what I wanted but just couldn't find the right product until I came across Sharni from Outdoor Interiors. 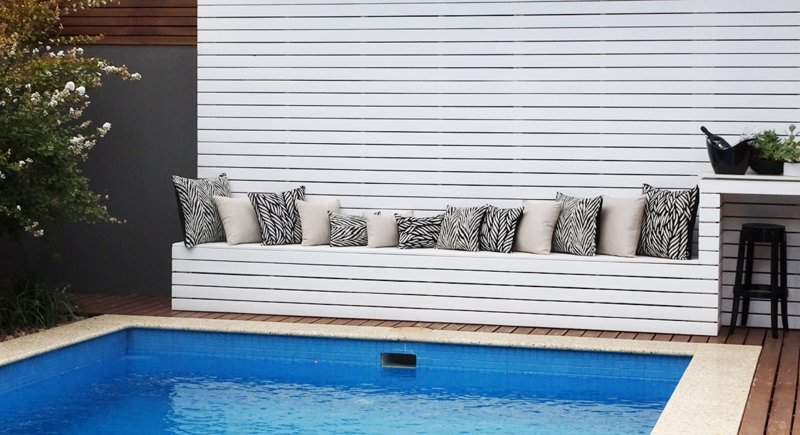 I was after bench seats and not cushions for my decking in the pool area. After several emails and her quest for research, she came up with the perfect solution. I absolutely love these seats, not only are they comfortable and smart looking, but I can move them around to my liking as there are three altogether. Thank you Sharni! When I went to different websites to look for cushions to purchase, Sharni replied promptly offering me a service above the normal. I roughly told her what I was after and Sharni went to work putting some colours together for me and took photos and sent them to me. It was so much easier to choose cushions once I saw them displayed on a couch. The delivery was prompt and they were packed really well. I was kept up to date with emails regarding my delivery. 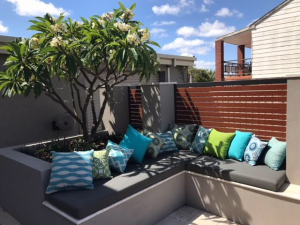 As you can see from the photo, the colours Sharni chose for my outdoor area were perfect and I get a lot of compliments on my cushions. The colours just pop and give your eye something else to look at. Sharni is the Shayna of cushions! 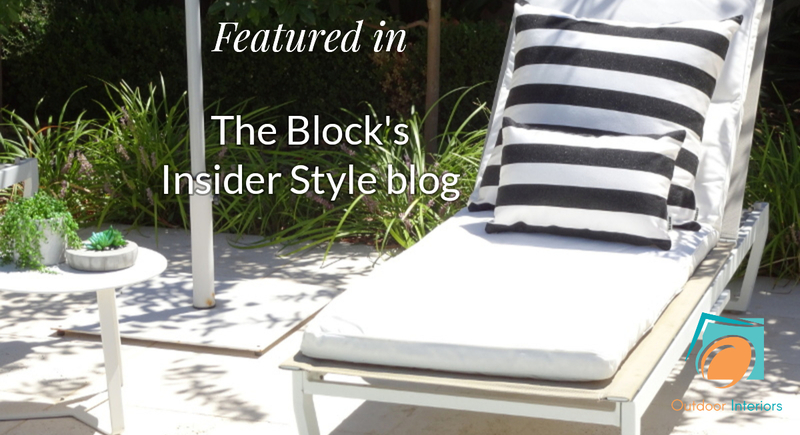 When I saw the cushions on the TV show 'The Block' I knew I had to have them too! The customer service and promptness of delivery from Sharni and the team was exceptional. 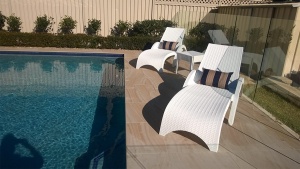 They are so comfy to lie on by the pool and I love the colour range which made it hard to choose from. The quality is amazing and the care instructions are simple, so should last for years to come. I just received the cushions! They are really nice, thank you very much for the fast delivery, much appreciated! 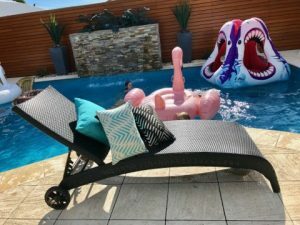 The quality of the cushions is amazing and the service is outstanding. Thank you so much Sharni. I'll be purchasing again. 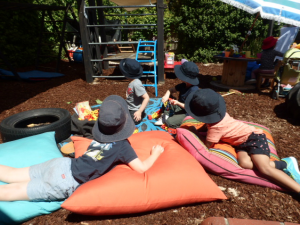 We absolutely love our cushions, thank you so much!! We love them so much we'd like to order more. We bought some for outside... but they looked so good we have them inside now! Thank you so much, I absolutely adore my cushions, the fabric is almost luminous in the sun, the colour is gorgeous, just exquisite, extremely high quality. 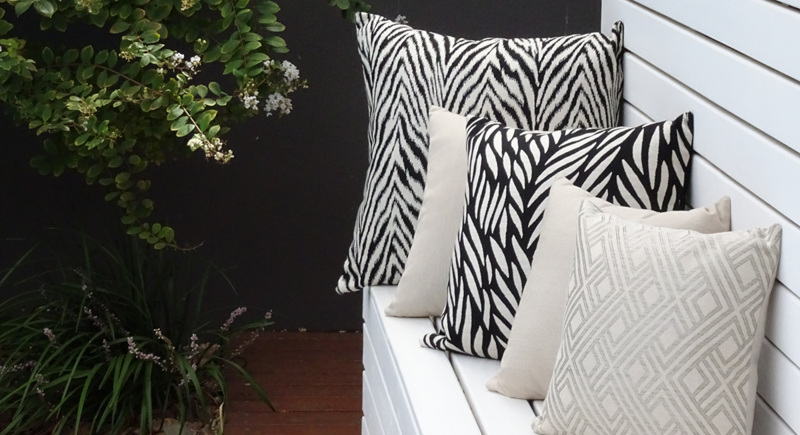 I totally recommend your beautiful collection of outdoor cushions, a major cut above the rest!! Great product and friendly personalised service, all good!! 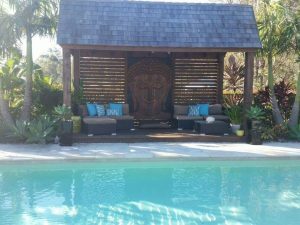 I recently purchased the Bora Bora range of cushions for my Gazebo. I absolutely love them. Thank you Sharni for the lovely customer service. Highly recommend you guys. 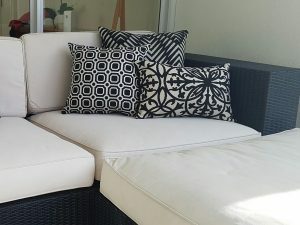 I recently purchased a set of "Outdoor Interiors" cushions for my outdoor entertaining area. 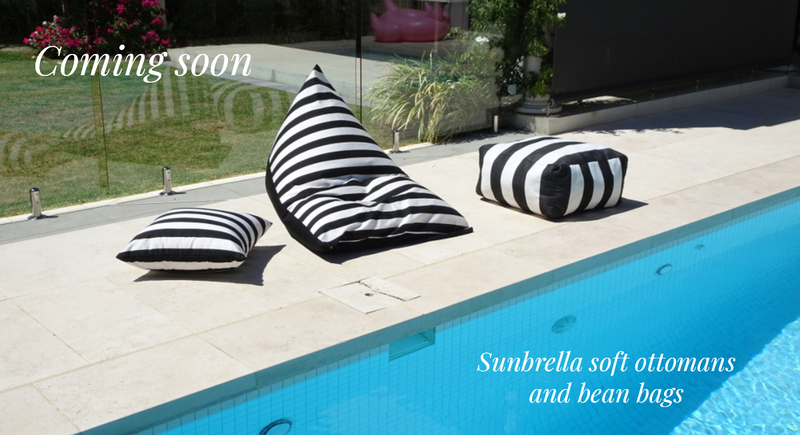 It's been great to finally find some outdoor cushions that not only look great but also feel so soft and luxurious. The wide range of fabric choices meant I could find some beautiful designs to match with my existing décor. 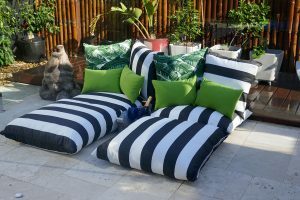 The fade & water resistant covers also allow me to leave the cushions out by my pool area without worrying about them fading or getting wet. Great company to deal with. So happy with my purchase! 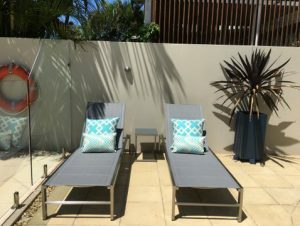 I am really happy with my outdoor cushions from Outdoor Interiors - they were delivered promptly, they look exactly like the picture and they seem really durable. 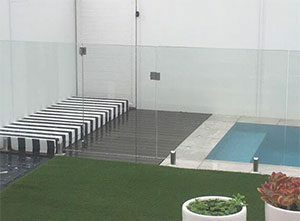 The colour is a perfect match to our pool and I really like that they're reversible as I'm very indecisive! Very happy with the quality and the service received, the cushions look fabulous! Awesome service! I received my cushions within 24 hours. 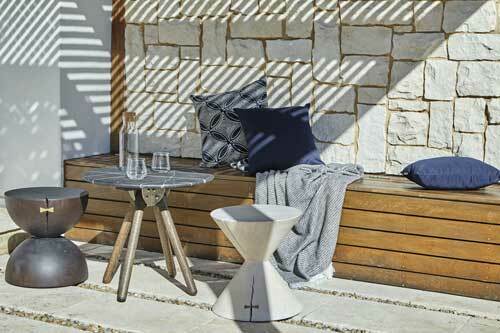 Great furnishing and décor options. Lots of trending colours and patterns to choose from. My cushions are 12 months old. Been through rain, hail and shine. They still are 'sparkling' like brand new. I am ready to get some more! Thoroughly recommend. 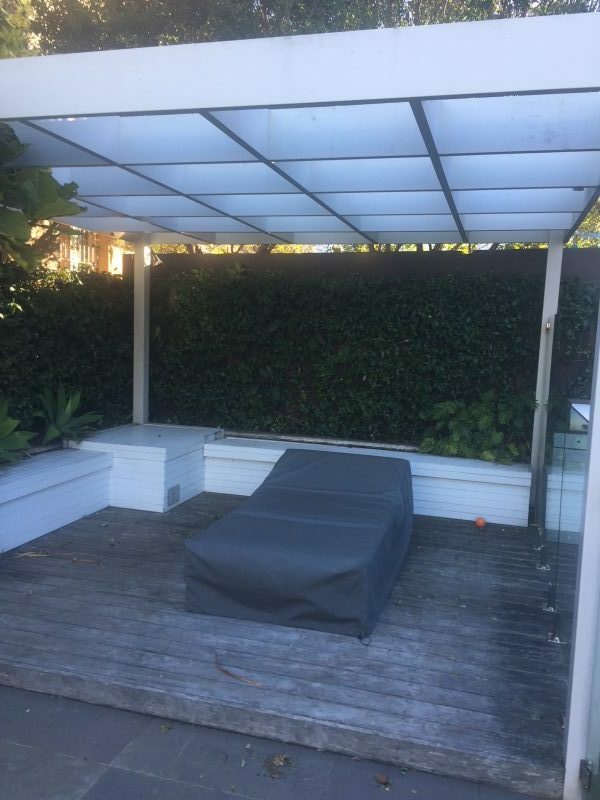 I ordered a custom made day bed cover and it arrived fitting perfectly to size and amazing quality. Very happy!